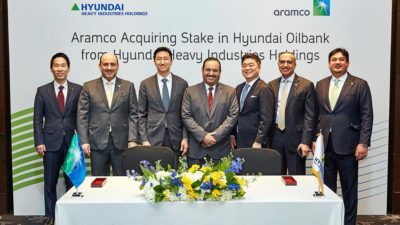 The deal was struck between Aramco and Hyundai Heavy Industries Holdings for Saudi Aramco’s subsidiary, Aramco Overseas Company B.V (AOC), to purchase a 17% stake in South Korea’s Hyundai Oilbank, a subsidiary of Hyundai Heavy Industries Holdings. Representatives of the two companies at a signing ceremony. The move comes as the company continues to prize Asian markets for its crude oil exports. “Saudi Aramco continues to strengthen its position in the downstream sector. 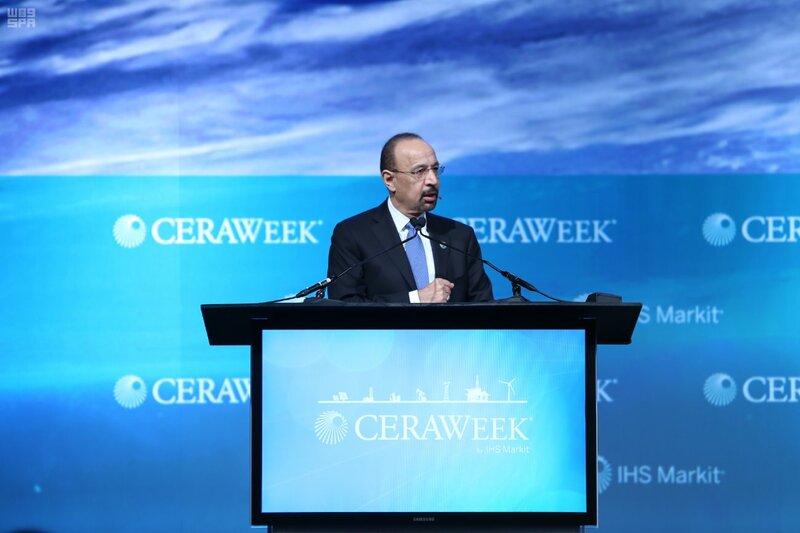 This acquisition demonstrates our investment in the highly complex refining sector in Asia, and continuous commitment to the region’s energy security and development,” Abdulaziz Al-Judaimi, Saudi Aramco’s Senior Vice President of Downstream, said in a press release. Meanwhile, at home, the company said it would be raising gasoline prices slightly this quarter effective April 14, noting that “domestic gasoline prices go up or down according to changes in export prices from Saudi Arabia to global markets,” according to Reuters. The slight increase follows a doubling in domestic gas prices roughly a year ago as the Kingdom looks to increase energy efficiency at home.